We have to reschedule or move the location for a wedding on average once or twice a year due to heavy rain. That said, we always have a Plan B. 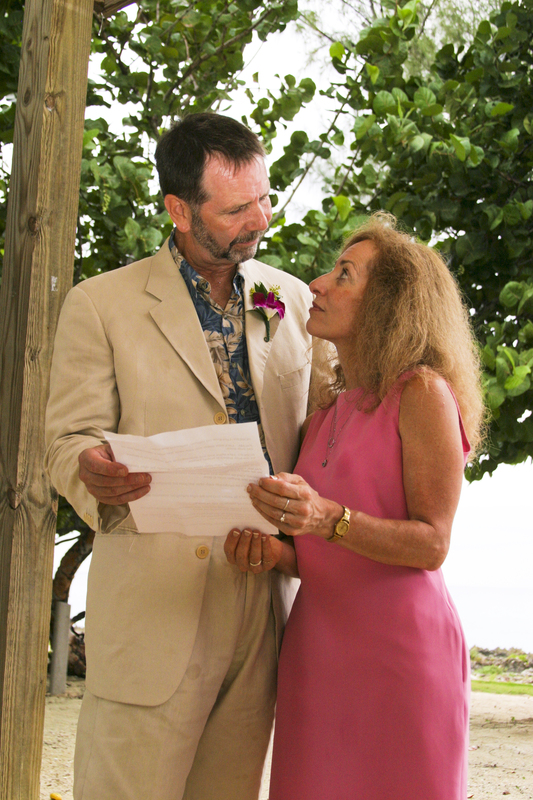 If you are a stay-over visitor there are more options for rescheduling the ceremony. 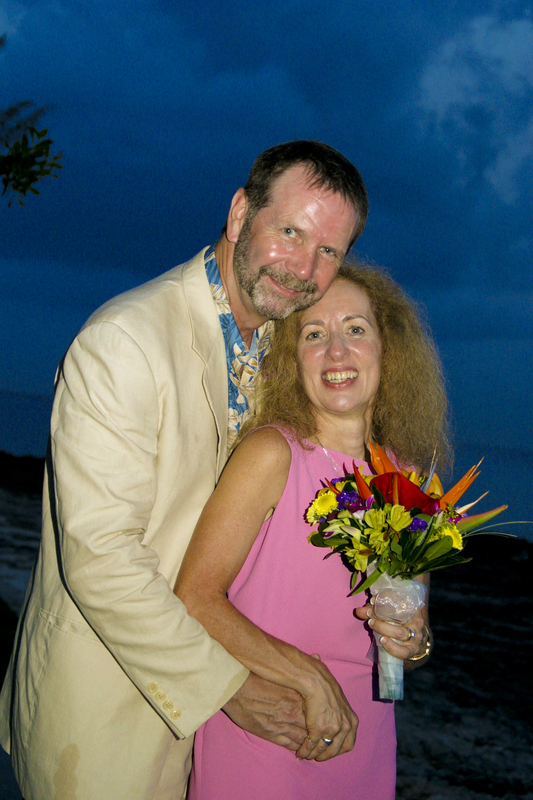 Most photographers we use will also reschedule your photo shoot for a sunny day. 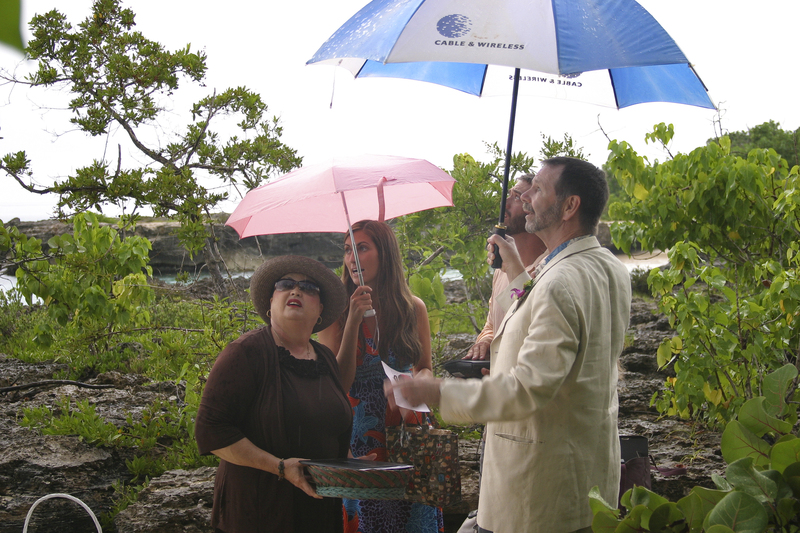 If you're on a cruise, Plan B includes locations with cover, and the location will depend on the size of your group. 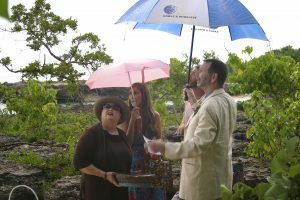 If there is a weather disturbance, the cruise ship might tender on the south side of Grand Cayman at the Spotts Landing. 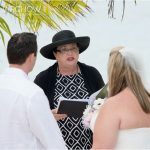 If you have chosen a wedding package which includes transportation, we will pick you up at Spotts or arrange for you to be picked up by taxi and brought to our office. In the unlikely event that your cruise ship by-passes Grand Cayman completely, we have a refund policy. 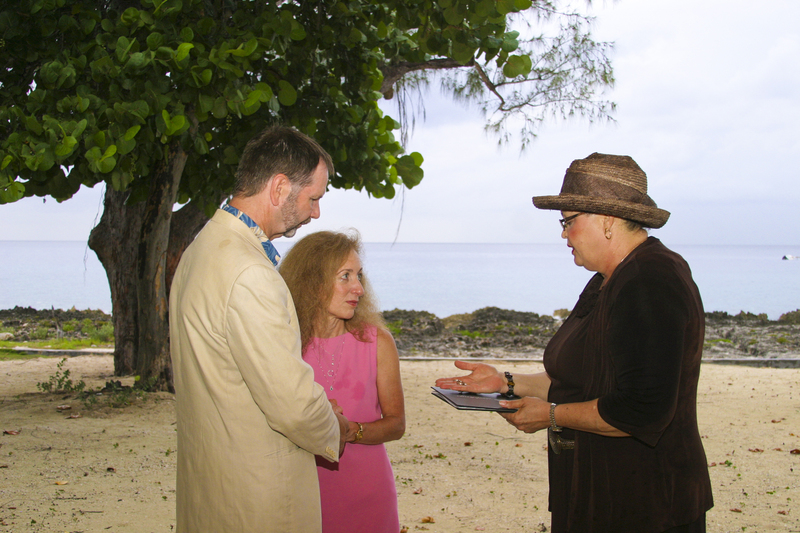 This couple, attorneys from the Washington DC area, customised their own wedding vows which they read to each other. 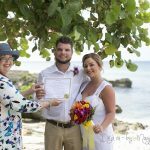 I explain what you're signing, and that while the Certified Copy of the Marriage Register will be given to you after the ceremony, the Registered Marriage Certificate will be mailed to you a few days after your wedding. Dart's Park is not as scenic as My Secret Cove, but it has a small beach, the water in the background, and a lot of opportunities for different back-drops for your wedding pictures. 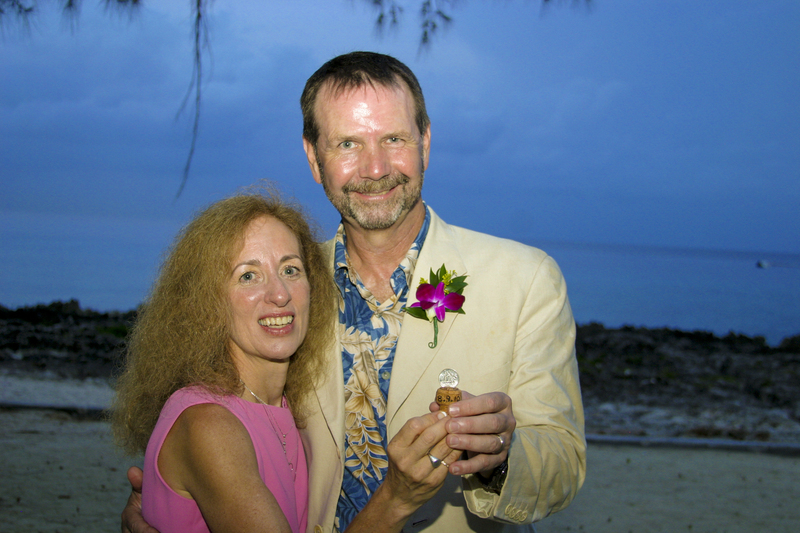 Posing with their champagne cork from the "cork ceremony"
The weather cleared up just in time for the "Champagne Ceremony"
Many of my clients like the traditional Caymanian wedding customs which have involved over the 500 years of our British heritage. 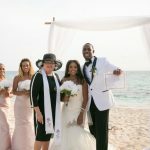 These clients, being attorneys appreciated the fact that marriage in the Cayman Islands is governed by the Marriage Law, and therefore they didn't have to worry as to whether their Cayman wedding was legal. 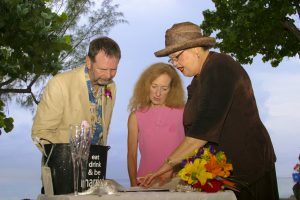 Dart's Park is actually a very popular wedding ceremony location for Grand Cayman residents. This is because it is quite inexpensive to reserve, and because the amphitheater which overlooks the water, has a stage for the ceremony and can seat over 100 people. 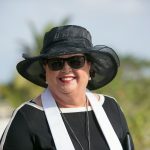 If you have questions or concerns which I haven't addressed in this post, please contact us or make a comment so we can respond to your queries. We want to make sure that your Grand Cayman wedding day is worry-free when you choose Simply Weddings as your celebrant and planner.